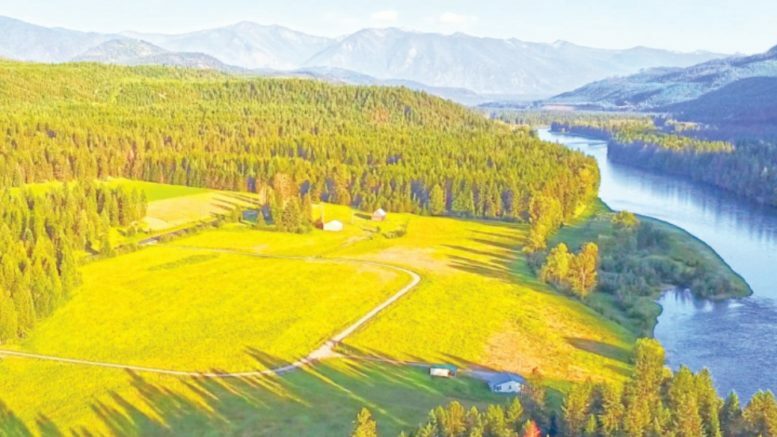 A 42.5 acre parcel, near the conflux of the Yaak and Kootenai rivers was recently purchased by Missoula based Vital Ground in conjunction with the Yellowstone to Yukon conservation initiative (Y2Y), an international organization dedicated to preserving vital wildlife corridors. The purchase was made to ease a bottleneck for grizzly bear movement in the Kootenai Valley. “We try to help communities co-exist with wildlife. We want the grizzlies to be able to move freely without coming in contact with people,” , Y2Y regional coordinator, Jessie Grossman told The Montanian. “This area has been identified by both American and Canadian scientists as a strategic area,” she continued. The area runs along either side of Hwy. 2 at the joining of the Yaak River with the Kootenai. The area had been slated for a residential subdivision, with the electrical grid having been already laid. It will now be left as open meadow.” When you drive by, it just looks like an open field, and now it will stay that way, Grossman said. This riparian grassy meadow area is important because the big bears tend to move about using river and creek beds as their street system. “After extensive consultations with Montana Fish and Wildlife, we recently acquired this relatively small space which biologists have pinpointed as crucial to the free movement of wildlife in this area,” Vital Ground Director, Ryan Lutey told The Montanian. The Vital Ground organization is committed to preserving strategic pieces of land not just for wildlife conservation, but also to help private landowners to continue working their land through logging or agriculture and expand areas for public recreation, he said. “There have been a few problems passed on misunderstandings that we are trying to kick people out in favor of wildlife,” Grossman said, but these challenges are based on misconceptions. I really want to send a message, that we are doing this work just as much for people as for wildlife, Grossman said. Grizzly bears will roam, at least most of them will. This acquisition is aimed at providing a safe passage for to avoid paths through private fields, backyards and storage areas. Hoping we can co-exist with our wild cousins, Lutey elaborated, these land trusts are collaboratively based. The Kootenai River outside of Troy and the land recently purchased in the Y2Y initiative. Photo courtesy of Scott Rulander, Gem Vision Productions.